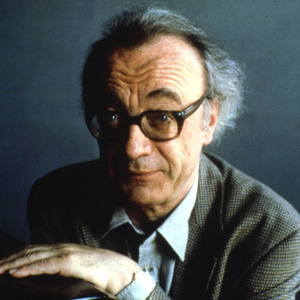 Alfred Brendel (born January 5, 1931) is an Austrian pianist, born in Czechoslovakia. He is widely regarded as one of the great classical pianists of the second half of the 20th century. Brendel was born in V?zmberk, Czechoslovakia, now Lou?n? nad Desnou Czech Republic, to a non-musical family. They moved to Zagreb when Brendel was six, and later to Graz, where they lived during World War II, towards the end of which the 14 year old Brendel was sent to Yugoslavia to dig trenches. However, he caught frostbite and was taken to hospital. Brendel was born in V?zmberk, Czechoslovakia, now Lou?n? nad Desnou Czech Republic, to a non-musical family. They moved to Zagreb when Brendel was six, and later to Graz, where they lived during World War II, towards the end of which the 14 year old Brendel was sent to Yugoslavia to dig trenches. However, he caught frostbite and was taken to hospital. Throughout his childhood, Brendel had occasional piano lessons, but otherwise little formal music education. After the war, Brendel composed music, as well as continuing to play the piano and paint. However, he never had any more formal piano lessons and although he attended masterclasses with Edwin Fischer and Eduard Steuermann, he is largely self-taught. Brendel gave his first public recital in Graz at the age of 17. He called it "The Fugue In Piano Literature", and as well as fugal works by Johann Sebastian Bach, Johannes Brahms and Franz Liszt, it included some of Brendel's own compositions. However, he gave up composing shortly after this to concentrate on the piano. In 1949 he won 4th prize in the Ferruccio Busoni Piano Competition in Bolzano, Italy and moved to Vienna the following year. At the age of 21, he made his first record, Sergei Prokofiev's Piano Concerto No. 5. He went on to make a string of other records, including three complete sets of the Ludwig van Beethoven piano sonatas (one on Vox Records and two on Philips Records). He has also recorded works by Liszt, Brahms (including Brahms' Concertos), Robert Schumann and Franz Schubert. Unlike virtually all classical pianists, he has recorded very little Chopin other than the Polonaises. Brendel recorded extensively for the Vox label -- particularly his first set of the Beethoven sonatas -- but secured a major recording contract only in the 1970s, nor did he play much outside Austria. His breakthrough came after a recital of Beethoven at the Queen Elizabeth Hall in London, the day after which three major record labels called his agent. Around the same time he moved to London, where he still resides. Since the 1970s, Brendel has recorded for Philips Classics Records. Brendel is regarded as one of the most thoughtful interpreters of classical Germanic works by such composers as Beethoven, Schubert and Wolfgang Amadeus Mozart. He has recorded the complete piano music of Beethoven. He plays relatively few 20th century works, but is closely associated with Arnold Schoenberg's Piano Concerto. In recent years, however, he has stopped playing many of the most physically demanding pieces in the repertoire, such as the Hammerklavier Sonata of Beethoven, owing to problems with arthritis. Critical reaction to Brendel's playing has been mixed. While he has been lauded by Michael Steinberg as ?the new Schnabel?, critic Harold C. Schonberg noted that some critics and specialists accused the pianist of ?pedanticism.?. Brendel's playing is sometimes described as being analytic, and he has said that he believes the primary job of the pianist is to respect the composer's wishes without showing off himself, or adding his own spin on the music. "I am responsible to the composer, and particularly to the piece," he has said. As well as his former mentor and teacher, Edwin Fischer, he cites Alfred Cortot, Wilhelm Kempff, and the conductors Bruno Walter and Wilhelm Furtw?ngler as particular influences. In recent years, Brendel has worked with younger pianists such as Paul Lewis, Mark Gasser, Roberto Carnevale and Till Fellner and he has performed and recorded with his son Adrian Brendel, a cellist. He has also published poetry, which has been compared by Andrew Motion to Miroslav Holub in style.